02/05/2015 - St. Cloud, Florida - The Holster Store, a manufacturer of leather and kydex gun holsters, belts, and magazine carriers has released the Pro Carry Ankle Holster. This comfortable leather and neoprene holster wraps firmly around the ankle and attaches using durable Velcro. The Pro Carry Ankle holster is made for small semi-auto and most 5-shot revolvers. 04/14/2014 - St. Cloud, Florida - The Holster Store, a manufacturer of leather and kydex gun holsters, belts, and magazine carriers has just launched a new app for Android and Apple devices. The Holster Store is now in the palm of your hands! Our "Gun Holsters" app has features to search our inventory, contact us, and receive special promotions the minute they are available. Click on your device to download our app! 01/20/2014 - St. Cloud, Florida - The Holster Store, Inc., a premier leather holster manufacturer located in Saint Cloud, FL announced today that it has released the Pro Carry shoulder Holster. This versatile horizontal shoulder holster is fully adjustable and available for all size torsos. Finding a shoulder holster that is both comfortable and fits well is a problem. The Pro Carry Shoulder is the perfect solution. Made with super soft leather straps, the Pro Carry Shoulder Holster is designed to be worn all day in comfort without sacrificing durability. The horizontal rig design gives the holster a proper fit tht can be easily adjusted for any torso size uding the adjustment screw on the straps. The gun holster on the Pro Carry Shoulder Holster is molded specifically for your weapon, so no matter the make and model of firearm you keep at you side, you will have a properly secured weapon. The thumb break style strap also helps ensure that the weapon is in place throughout the day. 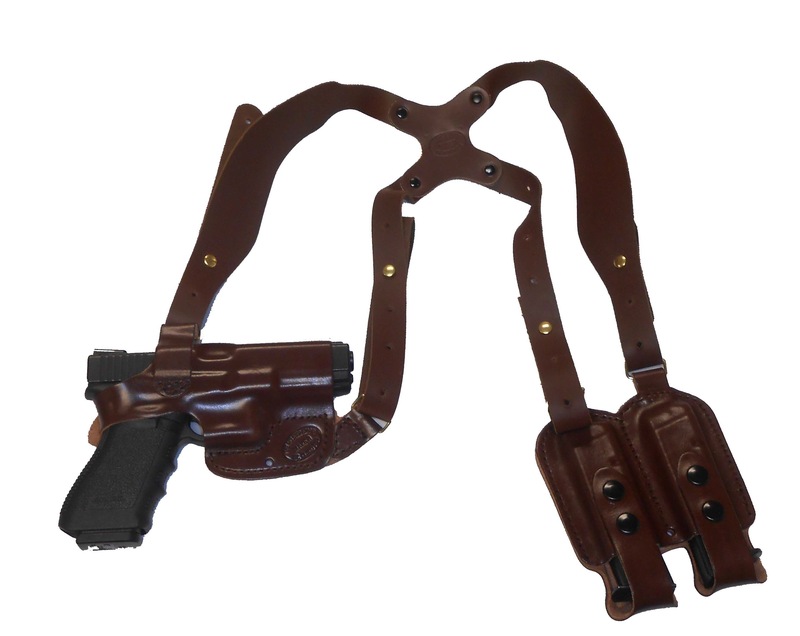 Not only is the gun holster specifically molded for your weapon, but the magazine holster that comes with the shoulder holster is custom molded as well. Features include snaps that hold your magazine securely in place and the same strap adjustability as the gun holster, allowing you to keep your magazines at the desired height. 06/12/2013 - St. 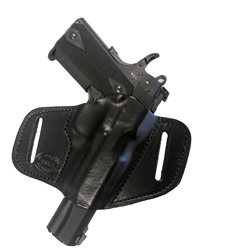 Cloud, Florida - The Holster Store Inc. has just released new gun holsters to fit the Beretta Pico .380 pistol. 04/21/2013 - St. Cloud, Florida - The Holster Store Inc. introduces the Pro Carry Leather Gun Belt to the product list. 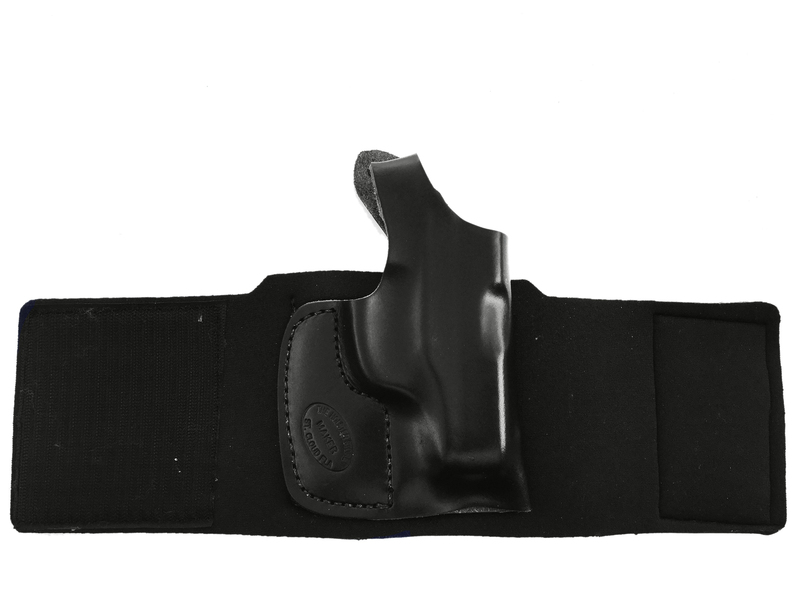 "Our Pro Carry Gun Belt provides a strong and secure place for your gun holster to rest on. Our gun belts are made of top grain 10-12 oz leather to provide the customer with the durability & elegance needed to properly carry a weapon. The Pro Carry Gun Belt is able to provide comfort and stability needed to keep a heavy frame gun from flopping or tilting over in a tussle."